This is the grooviest show of them all! I keep playing it over and over again. Dusting off treasures from the vaults: Lyn Collins' rare 1972 live recording in Switzerland, Sly & The Family Stone's first ever single "I Ain't Got Nobody", and 90s goodness from MC Lyte, MC Breed, and never-released Dr. Butcher. 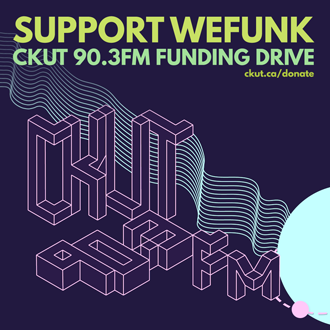 Plus WEFUNK gets funky for you with a Nice & Smooth/Parliament sample moment, some fierce new funk from Baby Charles, and an interview with Mohawk crew FBI about their take on native hip hop. DJs & GUESTS Professor Groove, DJ Static, FBI / RECORDED April 11, 2008 / HOSTING PJ, Mike, Oliver & daduke. You can help too!